I find myself wanting a hexagon marked space mat, and so I conducted a little experiment to see what size hexagons would be the best for said mat. I made a sheet of different hex sizes in MS Publisher, and then printed it out and compared it to a Federation Constitution class Heavy Cruiser. (~3 inches long). Romulan and Klingon ships are mostly shorter and wider. 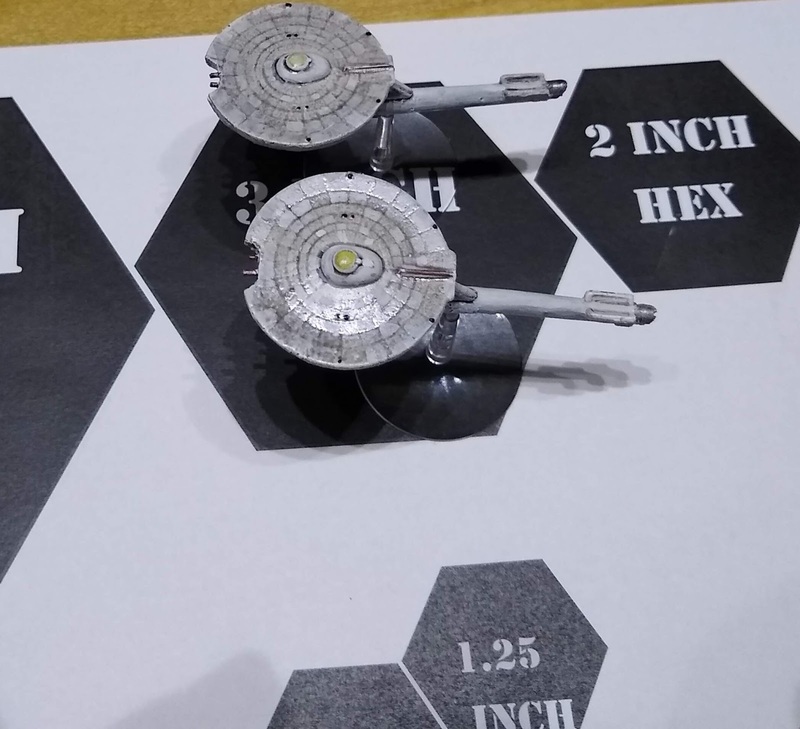 on the other hand, a 3" Hex looks like it would be too large with one small ship and ordinance chits/fighters etc. Other considerations: a 48" wide mat can only hold so many hexes, and more is generally better. 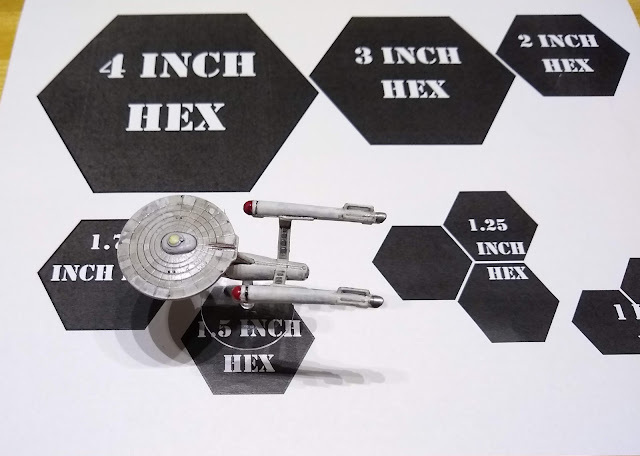 3" hexes would mean only 16 wide, where as 1.25" hexes means 38. Also, if I am marking the hexes myself, having an item to match up with the exterior of the hex is vital, and may preclude exotic sizes. So what do you think about hex sizes? 2" sounds like a good compromise mate and should have you with a fair sized playing surface with enough room for maneuverability on the tabletop. Ya know what I think! 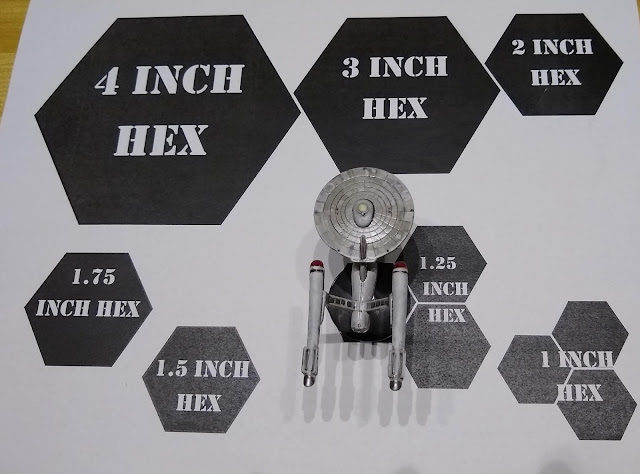 I think matching to your ships (and game) to hex size first is a great idea. I wish I had done that. I made my own hex cloth once by printing out a couple of sheets on A4, then I cut holes in each hex corner, laid it out on the cloth and used a pencil to mark through each hole. Each time I moved the template, I overlapped a couple of rows of holes to keep it lined up. I wish I had an answer for you. I remember coming up against this when I toyed with the idea of playing Squad Leader In Miniature (SLIM). 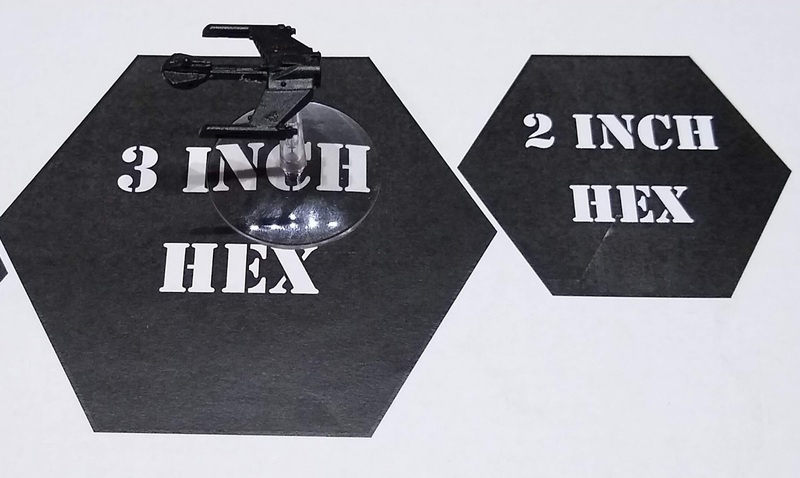 I quickly came to the realization that a hex size big enough to fit 3 squads of infantry at 1/72 scale would mean I would barely have enough space for a quarter of a board. So I moved on to not do other ideas. "moved on to not do other ideas" oh man, I know that feeling!